MARCH PANDEMIC (FACEBOOK PAGE)will begin doing 2 regular parties a month at BRILLO. In the works for MARCH… we will have a new mix cd to give away at the March Pandemic and maybe even a little something special for the Chalga Party on March 22. 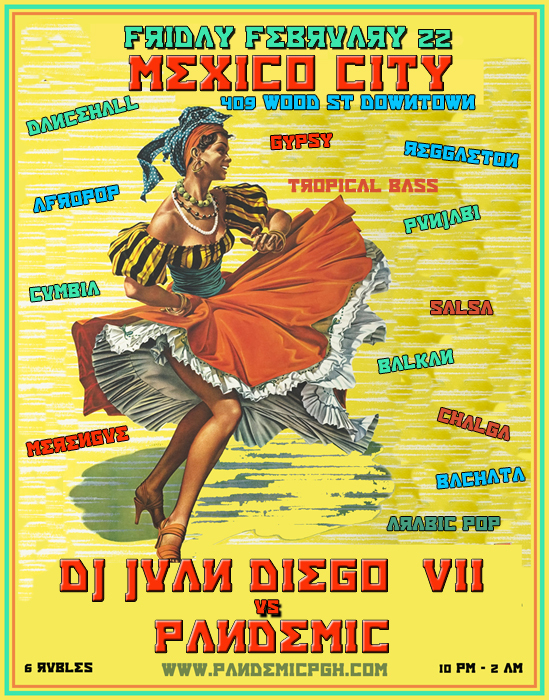 ONE NIGHT ONLY AT MEXICO CITY!!!! FACEBOOK EVENT PAGE One night only!!! 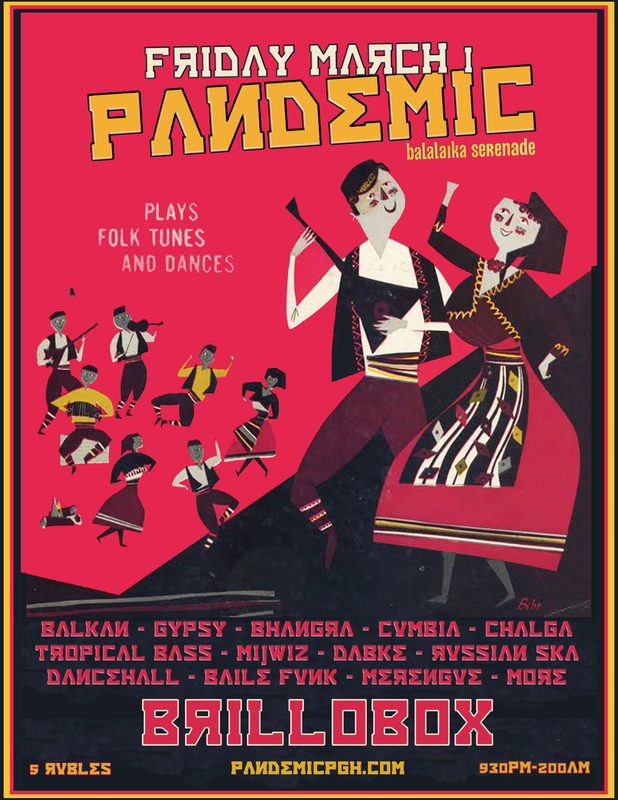 2 Totally different parties teaming up..
PANDEMIC – Balkan, Gypsy, Cumbia, Bhangra, Dancehall, Afrobeats, Arabic, Chalga, Pop Folk, Turbo Folk, Russian Gypsy Guitar, Bachata, Baile Funk and more..
PANDEMIC about to turn 7!!! 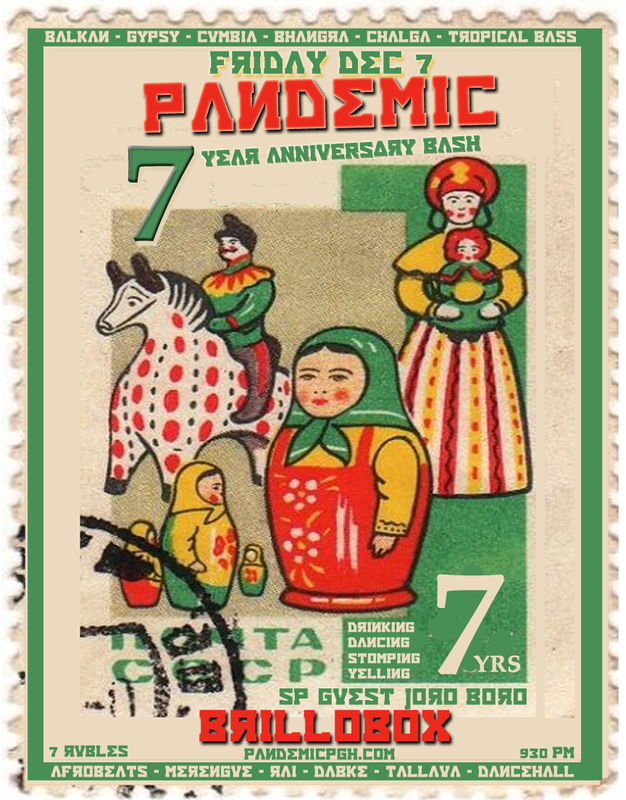 PANDEMIC TURNS 7 ON DEC 7!!!! plus T SHIRT GIVEAWAYS, MIX CD’s, and MORE!!!! !